Jessica Knoll’s new book is part TV, part feminism, part mechanical bull. Hold on tight. Let’s play some literary word association. The rules are, you pick up a book and get into it. Your task is then to talk about what other books the experience of reading it reminded you of – not the tone, not the themes, or the plot. The feeling. The meta, grander experience of reading it is an experience akin to…what? What other books jump into your head? The Favourite Sister was an experience akin to the experience of digesting two comparatively disparate reading experiences. Gazza, and Riotous Assembly. Exhibits A, and B. Lord have mercy. 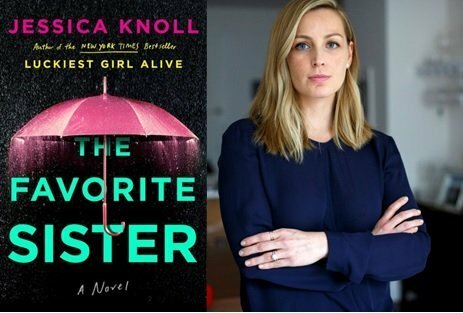 Thus, we arrive at Jessica Knoll’s novel: The Favourite Sister. We’re dealing with a sub-mental subject matter (semi-scripted reality TV), and the overriding themes are the ways women can be catty and competitive. There are frequent and repeated references to brand names, other reality TV shows, presupposing the reader’s understanding of the merit, or mere existence of such things as The Hills, Jimmy Choo and miscellaneous Kardashians. That the form (reality TV) exists and is popular with a certain segment of the populace is a given; I accept that it is in fact, a thing. But structuring a novel around its construction, genre conventions, psychology and trappings requires the level of patience that the genre does not usually elicit in someone who usually likes their TV programming more…artistic (the scripted series, UnReal is said to lift the lid on the genre within the confines of high-end episodic drama). If its participants and cultural outputs are to be taken as seriously as they are in this book, the book needs to be at least some form of satire. Jesus, let this be satire, please. Because we’re all in trouble if it isn’t. Ms Knoll is a talented writer, and within the piece is a permeating subtext about patriarchal constructs, feminism, positive body image and the like. Initially I was leafing through this considering it “chick lit”, and then had my estimations upended by a pointed character reflection on that as a label in itself. She knows what she’s doing and there’s considerable talent afoot, but it takes Gazza-levels of effort to get through it, given that it’s a solid message and first-rate bit of authorship buried under the excremental subject matter. Now, “chick lit” on its own, or at least books aimed squarely as light, or breezy, easy summer reads for women, when done well, can be exceptionally enjoyable (Gone Girl being first among equals in that regard). So there’s no faulting its pedigree. And, as mentioned, Knoll’s turn of phrase and underlying message is solid, if not frustratingly good. Her writing shows introspection and qualified insight as to what’s going on. This novel is the product of significant subject matter expertise and research. The principal characters occupy each chapter on their own, and have a distinct voice and viewpoint on the world. The tone, too, shifts appropriately when the narrative goes from the show-within-the-book from pre-production to production, and the cast engage in the content as though it was a long-form strategic game show, which, you’d have to assume, it is. The Favourite Sister shows Knoll has a good eye for character types, narrative construction and – one presumes – an ear for dialogue befitting this genre. The novel winds up being the literary equivalent of riding a mechanical bull: see how long you can hold on before the thing throws you to the floor.